natural spots to occupy in living spaces and "nestle" the devices into day-to-day life. welcoming shapes and textures with no-frills configurations to deepen the viewing experience. When designers are looking at ways to harmonize TVs with living spaces, a piece of art can be an inspiration. Artwork and sculptures manage to function as natural inhabitants of the space despite incorporating attention-capturing visual attributes. Blending the elements "harmony" and "emphasis," two seemingly incongruous characteristics, art fills spaces with unique tones that resonate with comfort and luxury. The "Soft Minimalism" concept centres on uniting the discreet and the noticeable into the look of a TV as an actual object. If TVs could find that balance, people would have more configurations to choose from――and that freedom would help weave TVs further into the fabric of everyday life. To make that kind of intimacy a reality, a TV design needs to have warmth. A person who's too detached and restrained might be difficult to feel comfortable around. 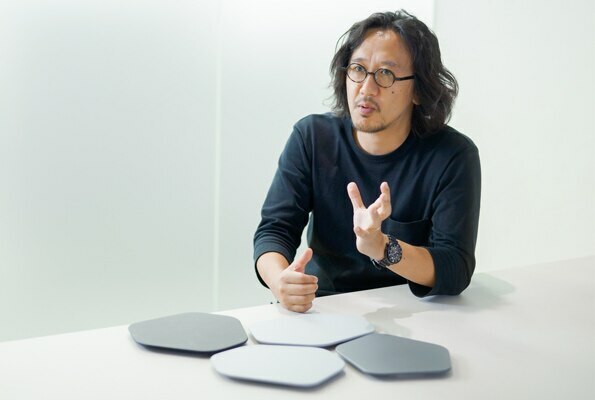 The same goes for TVs: while minimalist designs might be vital in helping people immerse themselves in their viewing experiences, there's a risk of making the designs feel a bit cold and inorganic if he minimalist agenda is pushed too hard. 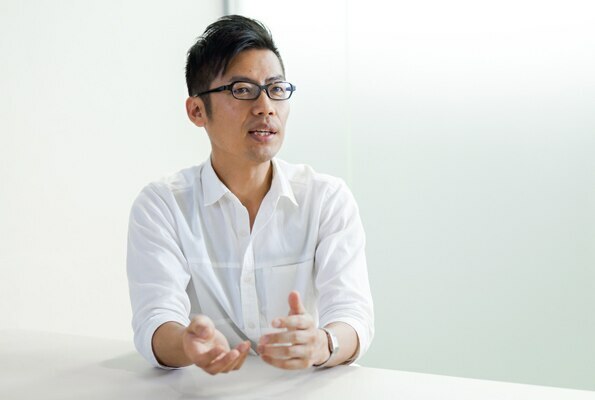 That's the basic premise behind the themes of "Soft Minimalism," an approach that uses gentle detailing, engaging materials and textures, and warm hues, to take the chill off a minimalist configuration. The result? 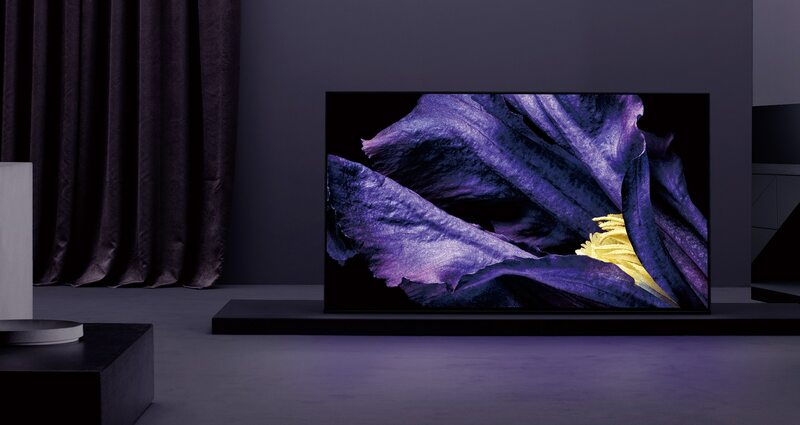 A TV that wows when it's on, eliminating extraneous elements to maximise the power of the visual experience, while residing comfortably in its environment when it's off, harmonizing with the space like a piece of artwork. We live in an age where simplicity and comfort are more important than ever. Emerging from that context, the "Soft Minimalism" concept shapes a new embodiment of what a TV can be. The A9F, with its OLED display, represents a masterful fusion of the viewing and listening experience. And all this, condensed into a single slate――the screen, with only a stand in the back to hold it up. The actuator and subwoofer are placed inside the stand. Its shape and materials are imbued with softness, with a rounded bezel and fabric-covered rear panel. These characteristics allow the A9F to exude an emphatic visual presence, while also blending into its surrounding spaces. The Z9F, with its ultra-high image quality, is a creator's dream. The bezel has a black, speckled finish like that of a DSLR camera. It is resistant against nicks and scrapes, and stands out against the metallic look of its surrounding parts. The minimalistic look extends to the stands, which are simply moulded aluminium parts, put together. It is characterised by a natural elegance that gives it the feel of an art piece. Not everything in a living space has a specific function; artwork and sculptures, for example, don't actually do anything. An idle TV falls into that category, too. Works of art produce a kind of energy and richness by just being there――and we wanted to see if we could make TVs do the same thing. That's why we adopted a new perspective in formulating the "Soft Minimalism" approach. instead of seeing the physical presence of a TV as distraction to eliminate, we reimagined it as a meaningful asset. 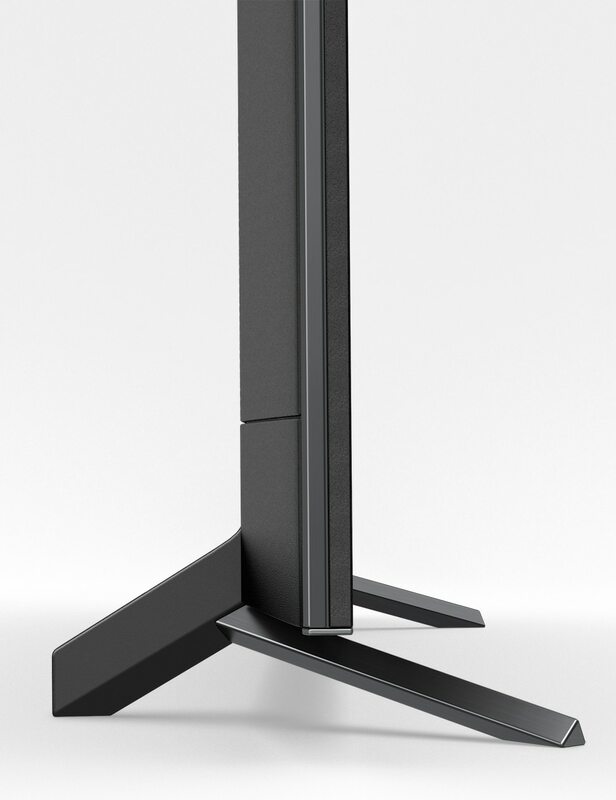 The BRAVIA® stand, emulating the exquisite presence of a sculpture, features a simple structure of square, metallic bars that come into contact with the underlying surface at individual points――a design that creates the kind of unique sense of balance and tension that you find in art-gallery displays. Thanks to its sturdy and thoughtful construction, which uses an inverted V-shape to ensure stability, the stand creates the ideal space for a soundbar to call home, whilst harmonising gracefully with the aesthetics of living spaces. 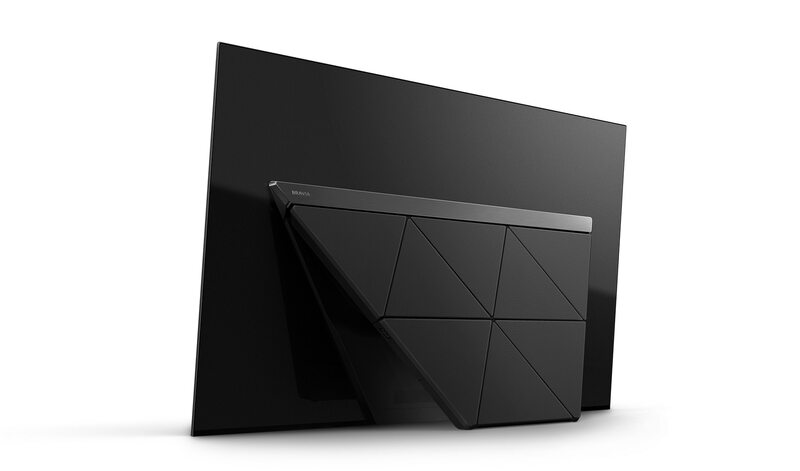 This BRAVIA OLED TV features a minimal two-panel structure with one for the stand and one for the screen. By rounding the edges of the panels, the team accentuated the design's sleek configuration to create a lighter, airier feel. Often, the mix and jumble of different things in a living space are what bring the entire room together. 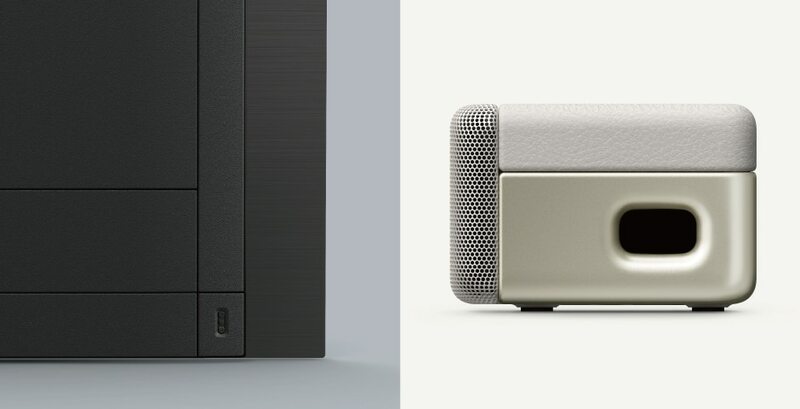 To incorporate that kind of complementary heterogeneity into BRAVIA®, the design team aligned the angles of the stand and the soundbar casing――two visually disparate elements――for a more comfortable fit. Hand-crafted shapes have the natural ability to deliver the perfect fit――whether you're holding a plate in your hand, sitting in a chair, or grasping a tool. 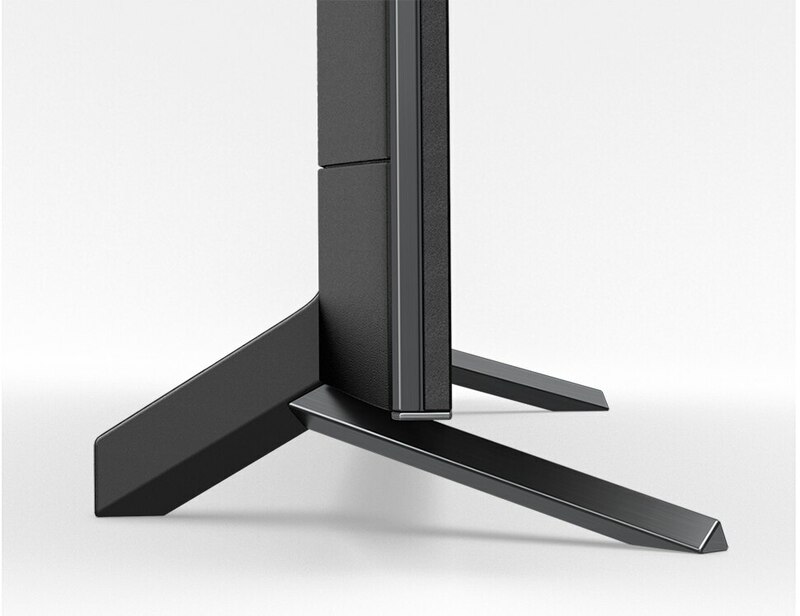 The BRAVIA® design team sought to capture that feel through a variety of tweaks, such as rounding the corners of the bezel and soundbar casing to create a soft, gentle form. 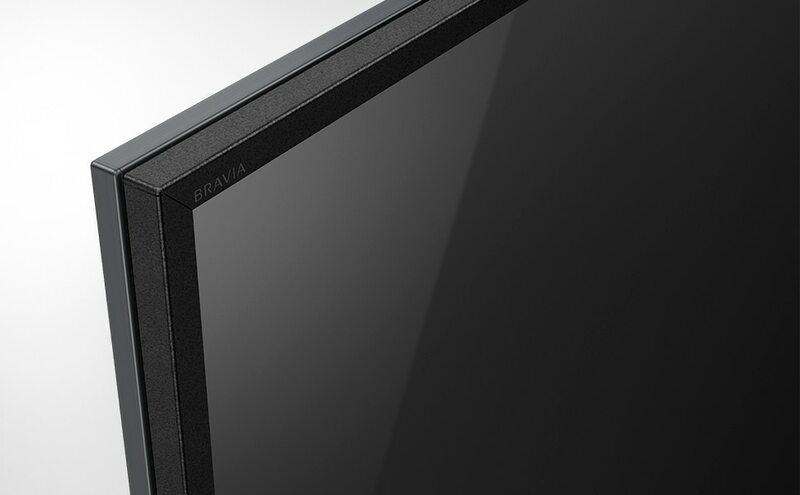 BRAVIA® designers took innovative approaches to the back panel of the TV. The design incorporates heat-release slits and terminal covers into a network of geometric patterns, for example, making the TV look as elegant from the back as it does from the front. 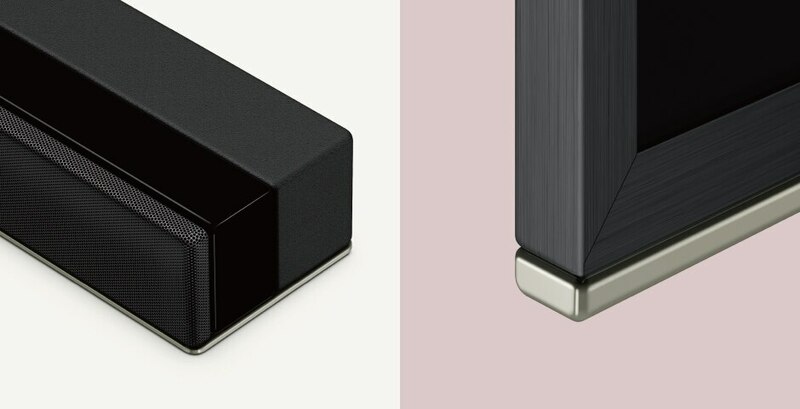 The soundbar, meanwhile, features a unique amalgam of different materials that not only reinforces the functional purposes of the components with a visual touch but also enriches the aesthetic harmony between the overall design and the surrounding space. 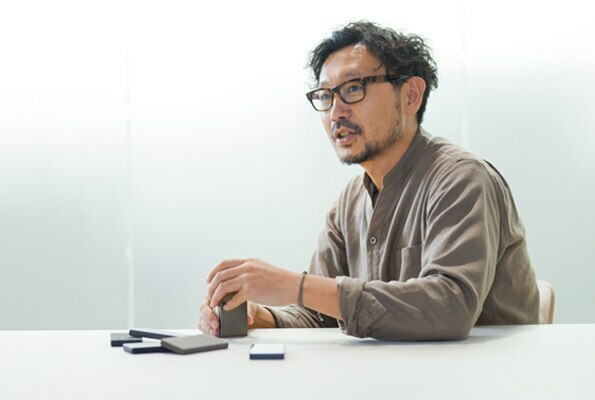 A soundbar can generate the kind of audio that a TV can't produce by itself――and it's capable of rendering sound in high dimensions without much effort. 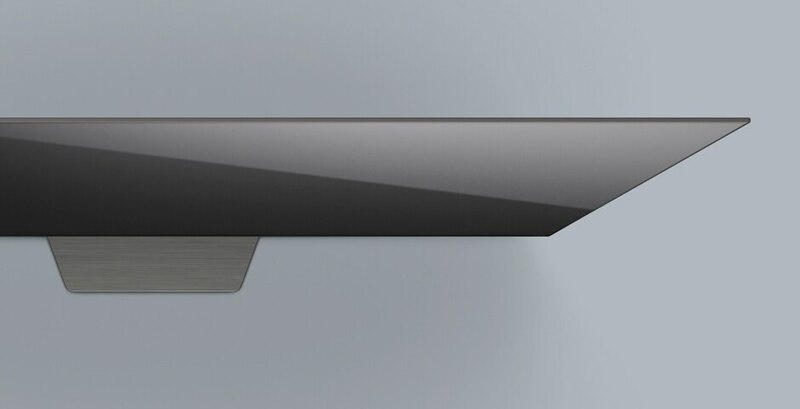 In designing the soundbar, we focused on finding a higher order balance that'd make its presence, affinity with the TV, and harmony with the interior space all fall into place. 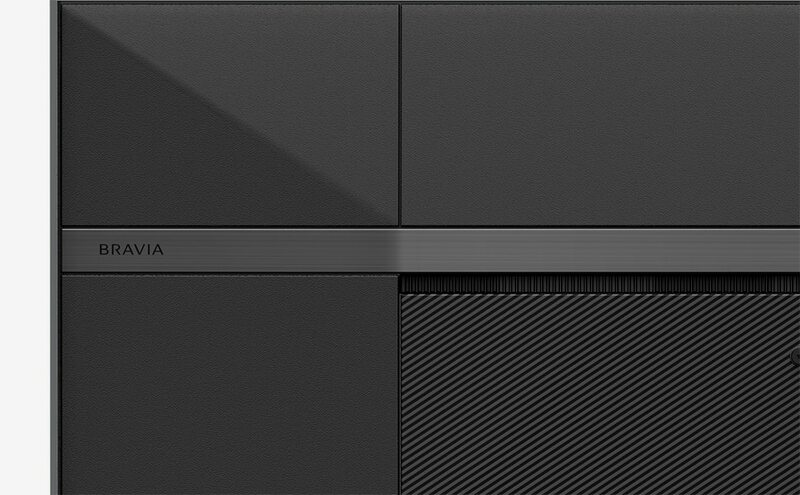 the BRAVIA® design represents a new step forward for viewing experiences in living spaces.